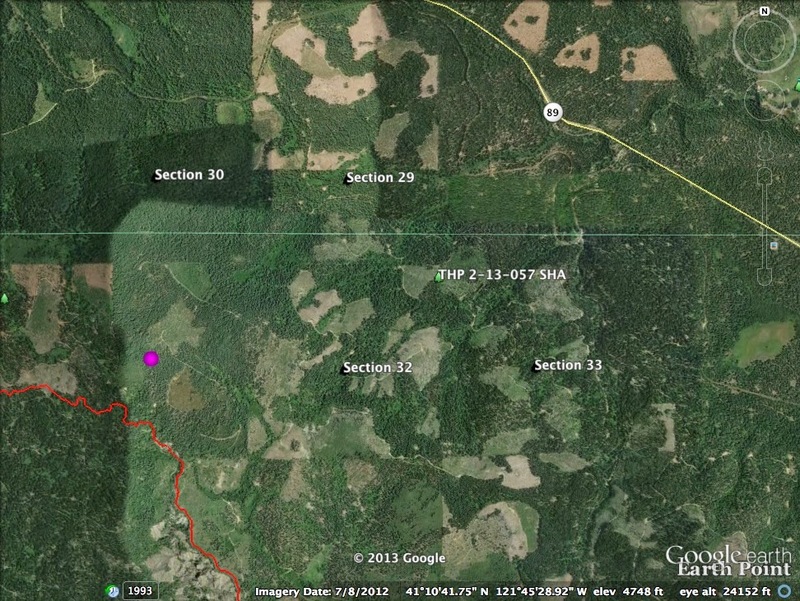 THPBlog: Campbell Timberlands planning new THP east of Mc Cloud, CA. 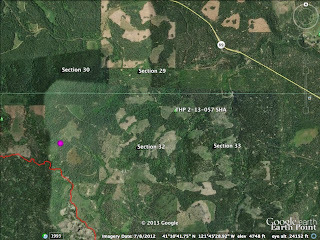 Campbell Timberlands planning new THP east of Mc Cloud, CA. THP 2-13-057 SHA (Lower Bear THP) Campbell Timberlands, 913 acres; 54% group selection, 22% sanitation salvage, 13% selection, 12% clearcut, misc roadside logging. Dead Horse Canyon, Upper Bear Creek (MD: T39N R2E Sec.29, 30, 32, 33). Winter operations, moderate erosion hazard, steep slopes up to 50%, 40 road drainage work sites, herbicides, 1 spotted owl within 1.3mi, bald eagle within 1.3 mi, fisher within .75 mi, English green briar, trees up to 60" dbh. Estimated public comment deadline: 10/20/13. This THP is about 18 miles SE of Mc Cloud, CA and 3.5 miles west of Pondosa, CA near Highway 89. Campbell Timberlands is planning a tractor logging operation in white fir, Douglas fir, sugar pine, incense cedar and ponderosa pine forest at an elevation of 4,300 to 5,200 feet. Part of the THP area drains into the Mc Cloud River basin, and part of the THP area drains into the Fall River basin. The THP includes 4,055 feet of new road construction, and the use of heavy equipment on an old road in a class II watercourse to fix 2 drainage diversions. Forty road drainage sites are planned for work including rocking, dip construction, culvert maintenance and ditch cleaning. There were multiple pacific fisher sightings .75 mi north and west of the THP area, a bald eagle was seen 1.3 mi NE of the THP area, and English green briar was found near a watercourse in section 30. More information is available on the THP Tracking Center website.